Sir Colin Davis, a non-Catholic, signed the 1971 petition for the preservation of the Latin Mass which was organised by the Latin Mass Society. This petition is of huge significance in the history of the traditional movement, since it led, in the same year, to the 'English Indult' of Pope Paul VI, which made provision for the continuing use of the ancient liturgical tradition. Recently I blogged about the death of another petitioner, William, Lord Rees-Mogg, most famous as a legendary editor of The Times. I said then that the only petitioner I was sure is still alive is Vladimir Ashkenazy, but it seems Magdalen Goffin now has a Wikipedia page, and also a page on Faber and Faber's site, and seems to be still with us. I'd also be interested to hear more about Martin Turnell, the author of 'The Rise of the French Novel' and many other works; his publisher hasn't managed to write even a brief biography. All the other petitioners have certainly passed to their reward, which isn't surprising as they were prominent in their professions when they were asked to sign, more than forty years ago. The ancient Mass can still be recognised, by people of culture and sensitivity, as a carrier of truly profound values. It goes without saying that the same judgement is made by the thousands of faithful Catholics, of all ages, cultures, educational backgrounds, and walks of life, who attend it, but we are used to being dismissed as insignificant. 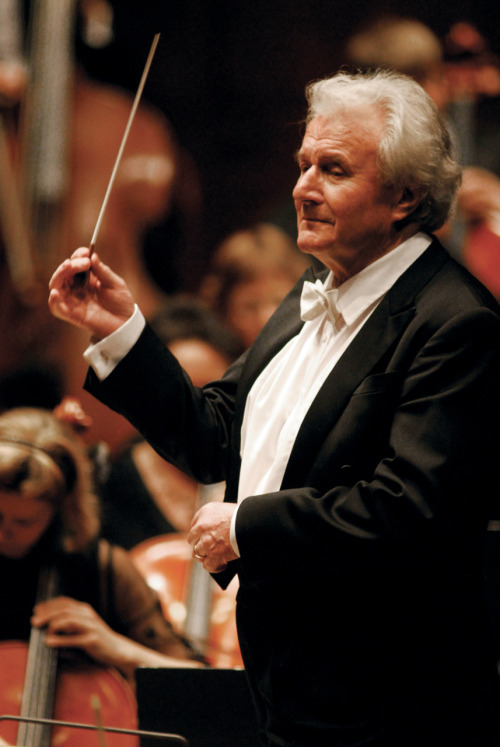 No one can dismiss Sir Colin Davis. May God reward him for his support for the Mass at that moment of supreme crisis, which it looked as though it was about to disappear forever. Here he is conducting the Introit of Mozart's Requiem (h-t Damian Thompson).